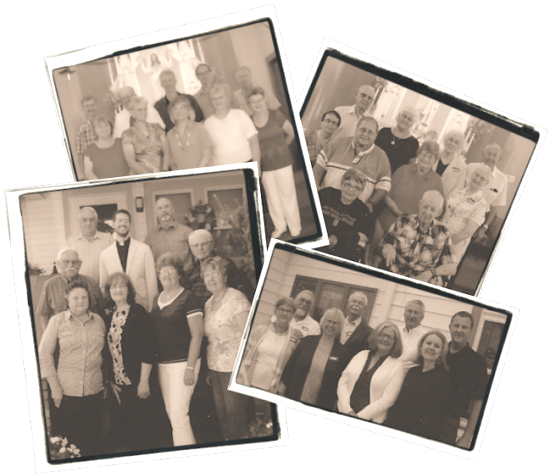 There are a several small, in home Cell Groups organized in which members may find the fellowship with other congregational members to be social, enjoyable and educational. Each of these groups take on a Bible Study or topic of interest that help fill a range of interests for all adults; young and old. If you are interested in learning more about the dates, times and locations of any of these groups, please contact the church secretary for specific information regarding these bible study groups. Or, if you'd like information on Bible Study material in which to use to start a new study group, the church has at its disposal a suitable bible study based upon most any Biblical book you'd prefer to use.